Mosaic is offering a limited number of 1-1 Positive Discipline programs done by our trained peer mentors in the homes of newcomer parents in their first language. A childcare worker will accompany the peer mentor on the home visits to engage with the children while the parent is learning about Positive Discipline in Everyday Parenting. The parent will receive 8 two-hour sessions scheduled at a time convenient for them. Applications will be reviewed as we receive them. Please note: We are looking for participants who would benefit from this program but we aren’t able to accommodate families in crisis. Our peer mentors are trained as parent educators and not as counselors so we don’t want to put them in situations that would be too challenging for them. Please use the application form to refer potential candidates for the program. 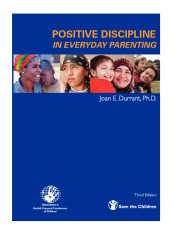 Because we have a very limited number of spots priority will be given to parents who are not able to participate in one of Mosaic’s group Positive Discipline in Everyday Parenting programs. Group programs are offered year round at various locations across the city. For more information on our group programs please refer to our current schedule.